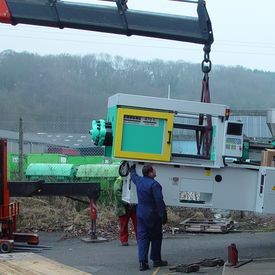 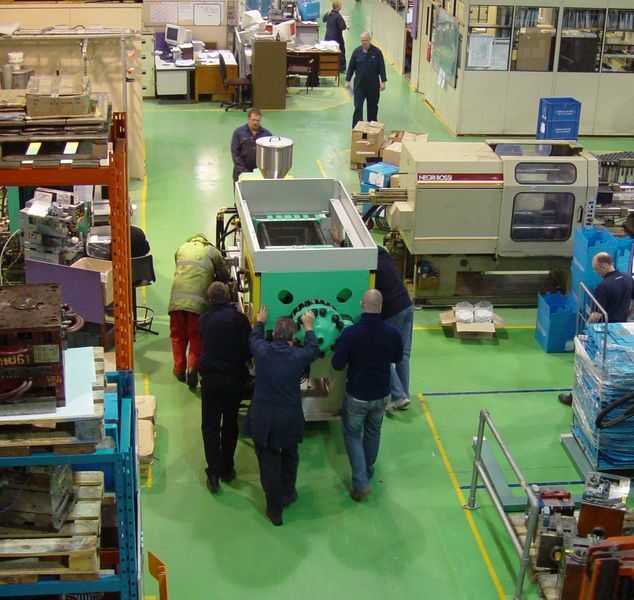 2nd February 2006 saw the arrival of the latest addition to AKI's machine line up - a new Arburg 470C 150 Tonne moulding machine. 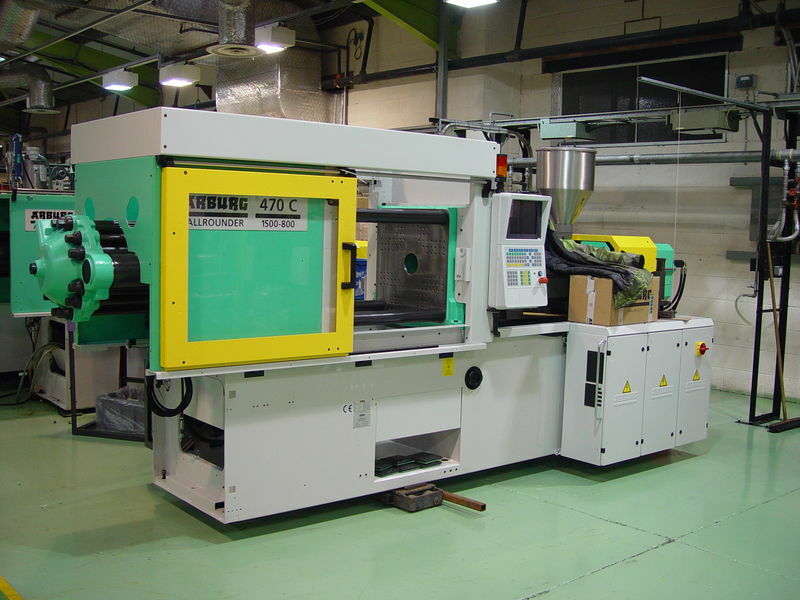 For AKI this is the latest in a line of investments to improve capability in the mould shop and expand the business. 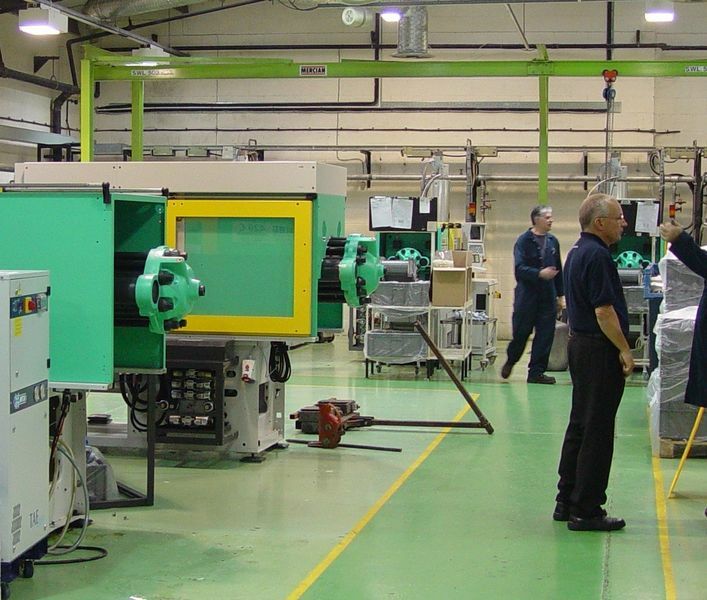 This continuous replacement of older machines with state of the art Arburg machinery enables AKI to increase productivity at the same time as ensuring moulding conditions are kept as optimal as possible. 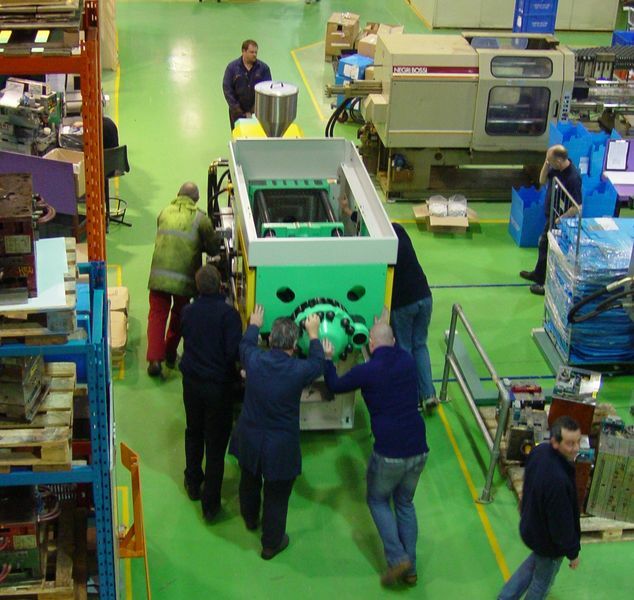 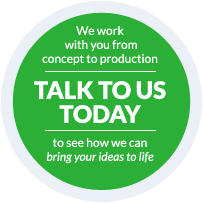 The performance of Arburg machines is well proven both within aki and injection moulding facilities all over the world. 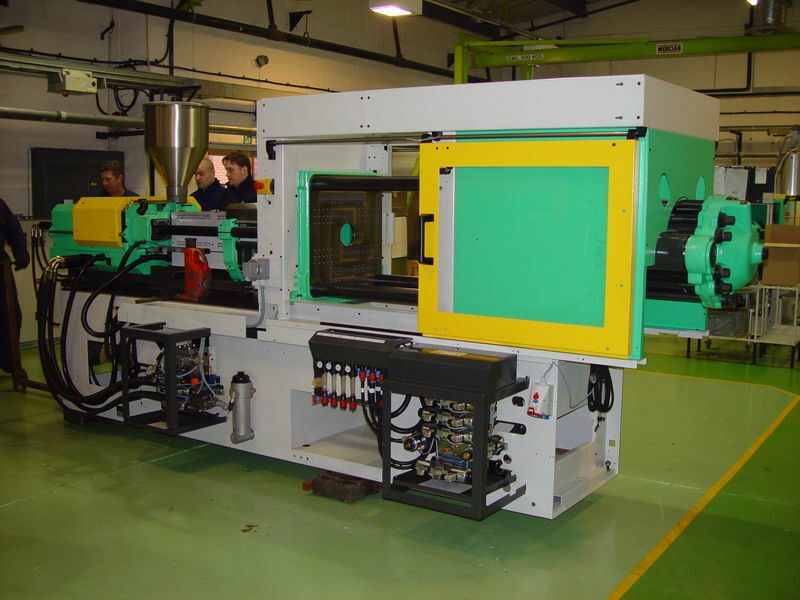 This advanced technology helps to ensure mouldings are produced to the highest standards whilst, at the same time, keeping the process as efficient as possible and with minimal delays in production.